WEDNESDAY, Nov. 7, 2018 -- For patients undergoing resection for non-small cell lung cancer (NSCLC), more frequent surveillance is not associated with improved survival, according to a study published in the October issue of the Annals of Surgery. Timothy L. McMurry, Ph.D., from the University of Virginia Health System in Charlottesville, and colleagues examined the potential correlation between the intensity of surveillance following surgical resection for NSCLC and survival. 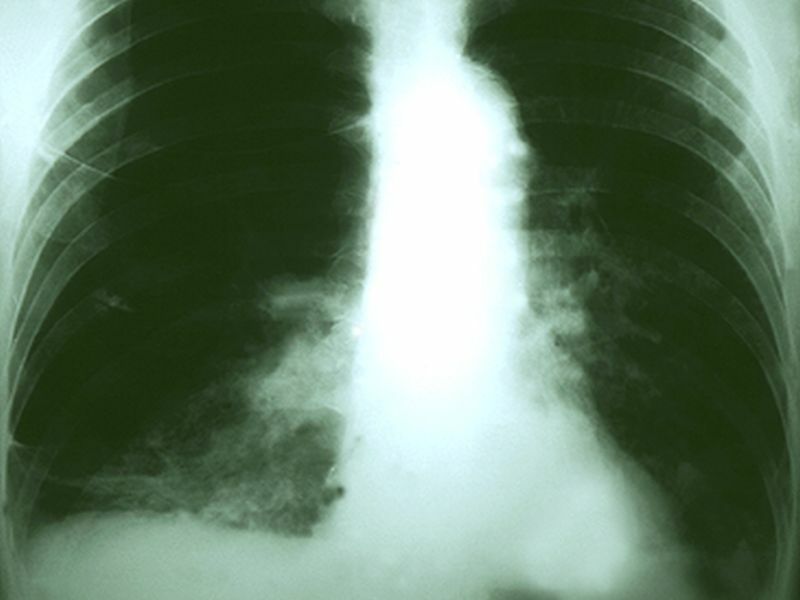 Stage I to III NSCLC patients were randomly selected for data reabstraction. Registrars documented all postsurgical imaging for patients diagnosed between 2006 and 2007 and followed for five years through 2012. A total of 4,463 patients underwent computed tomography surveillance; they were grouped based on time from surgery to first surveillance. The researchers found that higher-stage patients underwent more surveillance. There was no correlation between more frequent surveillance and longer risk-adjusted overall survival (hazard ratio for six months, 1.16 [95 percent confidence interval, 0.99 to 1.36] and annual, 1.06 [95 percent confidence interval, 0.86 to 1.31] versus three months; P = 0.14). There was also no correlation between more frequent imaging and postrecurrence survival (hazard ratio, 1.02 per month since imaging; 95 percent confidence interval, 0.99 to 1.04; P = 0.43). "As the number of lung cancer survivors increases over the next decade, surveillance is an increasingly important major health care concern and expenditure," the authors write.